We, at Flowmech, also manufacture double action hydraulic press with highly compact, rigid and space saving design. Double action hydraulic presses are equipped with PLC, L.V.D.T depth control automatic photo sensor. Double action hydraulic presses are used for manufacturing stainless steel sinks, geysers, A.C., L.P.G. cylinders and other automobile draw components. With this highly efficient double action hydraulic press, we are successfully satisfying the needs of our esteemed customers through specialized designs and latest trends. 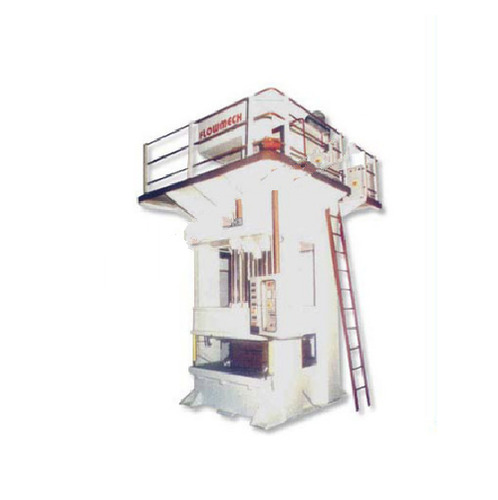 » Double Action Hydraulic Presses will be manufactured as per the customer requirement.